Finally the day has come, and my book has arrived. Can't wait to read through this. I was a little past the halfway mark in the copy I had printed myself, based on the first printing, but I think I'm going to start over from the beginning so I can enjoy this in all its glory and take in all the new chapter art. I just noticed something while reading through my book, the chapter Xenith which should be listed as in the Generous Souls volume at the top left page instead reads the previous volume, Voices of the Past. Not sure if it's a print wide thing or just me! I don't care, just thought it was interesting. And here's my books with their guardians! I feel like sharing a picture would be a tad bit pointless as you'd see the exact same product as you have already seen, though I digress. I'm going to state this out of the gate, I have never been a Brony, nor have I found personal amusement in the cartoon the fandom is based off of. 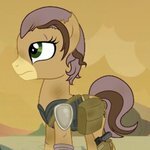 However just through random chance and happenstance I discovered the story Fallout: Equestria, along with the countless side-fics, pieces of entertainment, and art, making me fall into complete love with this universe. 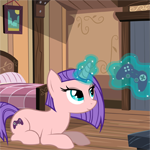 Fallout: Equestria along with some of the side-fics are some of the greatest pieces of literature I have ever read. I finally got my book!! It's absolutely perfect and worth the wait. Thank you so much! I look forward to more books in the future. Last edited by xxChant on Thu Jun 15, 2017 3:14 am, edited 1 time in total. Got back from my vacation only for my computer to promptly kill itself, but i got it all sorted out now, and had plenty of time to read my new favorite book. My only complaint would have to be the "Pocket Bible" pages that i hardly want to breath on, let alone touch, in fear that i will tear them. 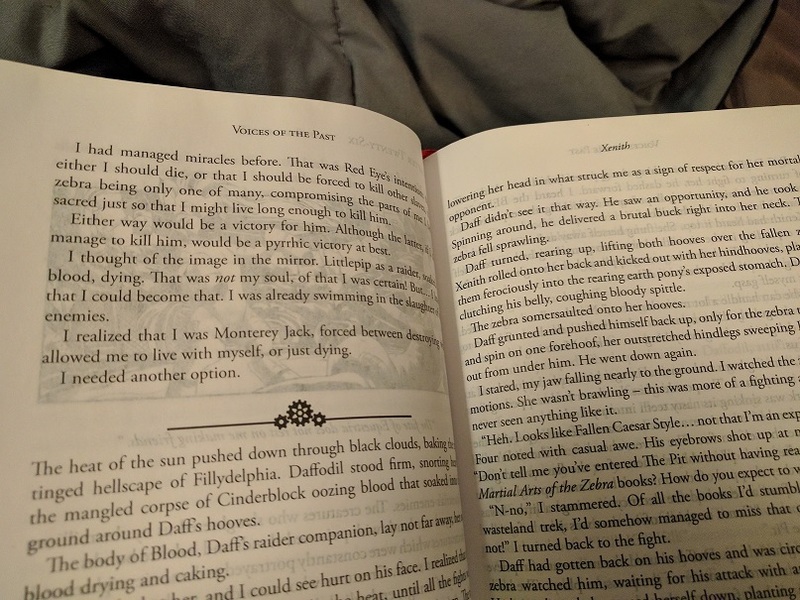 The text from the next page is also visible through the "current" page, which makes reading in bright rooms or daylight a pain. Other than that the books are perfect, and i thank the project team for another great print cycle. I cant wait to see how the team will manage Project: Horizons, considering the "revised" version is 1.7 MILLION words long. But please, print team, hear my plea, I'd rather fork over $400 for a 10 book bundle where each book is the thickness of a Harry Potter book (think half blood prince or deathly hallows, not sorcerer's stone or chamber of secrets) Than a $160 5 "Arc" bundle with the hair thin pages like this cycle's books. Once again, thanks for all you do, print team. It means a lot to ALL of us. My copy from the first batch of the reserve list finally made it to my door down here in Aus, safe and sound. I am disappointed in myself for not keeping an ear to the ground and getting in on the original print run, as it made it significantly more costly for me, but I have no regrets. This is the most expensive book I have ever owned, but in my opinion it was worth every cent. 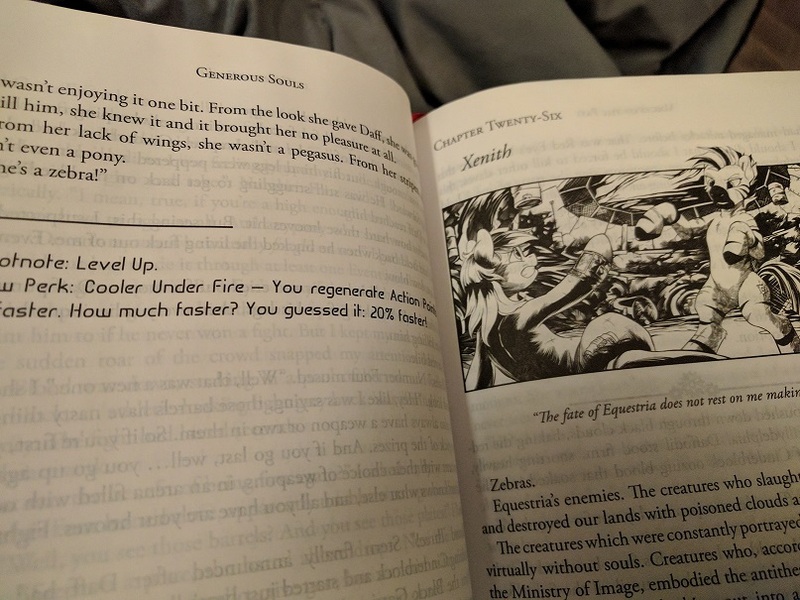 StarStrider57 wrote: I just noticed something while reading through my book, the chapter Xenith which should be listed as in the Generous Souls volume at the top left page instead reads the previous volume, Voices of the Past. Not sure if it's a print wide thing or just me! I don't care, just thought it was interesting. Yeah, it's not just you. That chapter had the wrong volume template applied to it. My bad. Just got mine in! I'd seriously like to thank the entire team behind this. I've wanted a copy since the first run, and have never been able to catch a run, or afford it. Lucky number three though, and I believe I was in the last batch of reserves before that was cut off, as well. 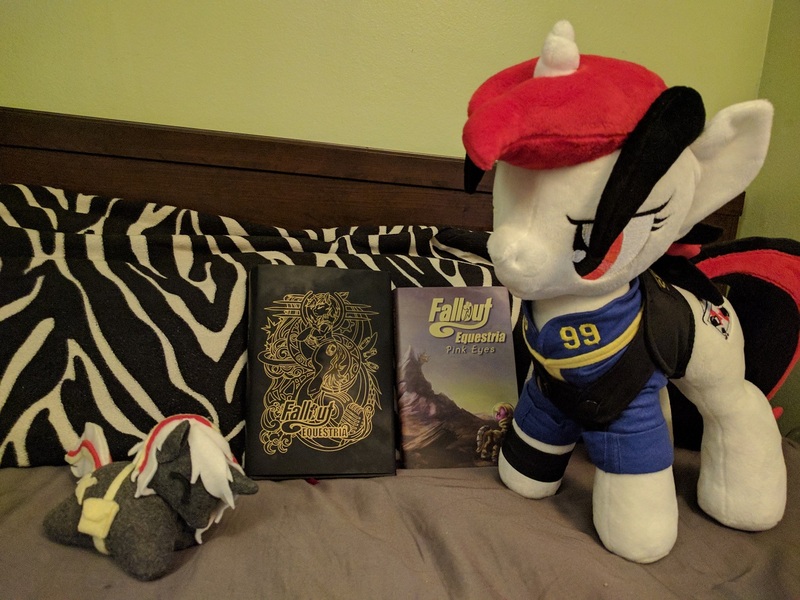 It looks great, and despite not being as fanatical about Fallout Equestria as I once was, I'm really glad I have such an important piece of this community's history in physical form. Seriously, thank you all. You people make the world go round.